The black box(Cockpit voice recorder) from the crashed Ethiopian Airlines which crashed on Sunday, is now in Paris for investigation that would solve the mystery of the crash which claimed 157 lives. The contents of the flight data recorder and cockpit voice recorder are expected to provide critical details about what caused the disaster on Sunday. 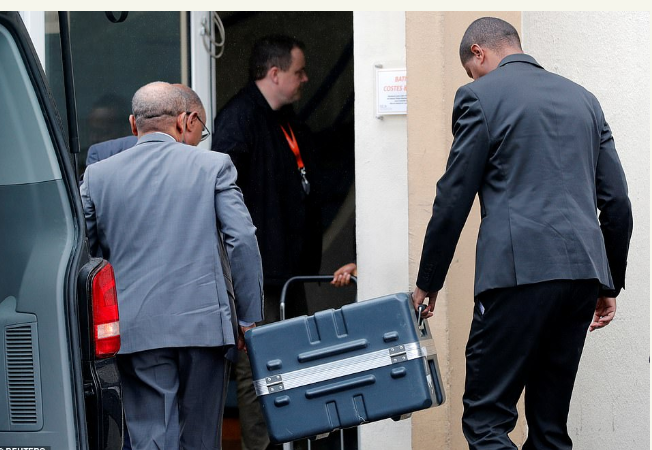 Two men carry suitcases containing the flight recorders from the Ethiopian jet into the French air accident investigation authority this afternoon. So far more than 40 countries, including US, have grounded Boeing’s 737 Max 8 or refused to let them into airspace.